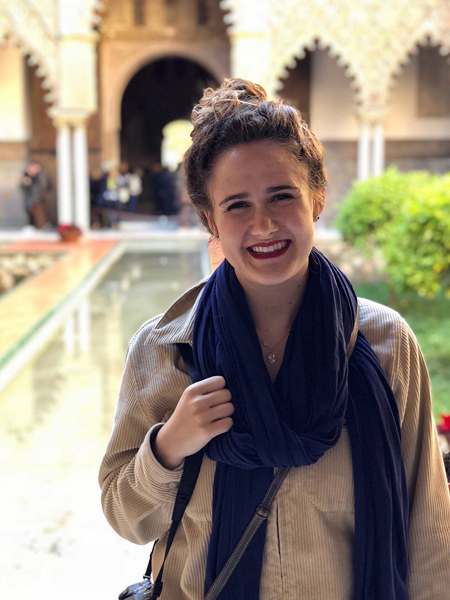 Paige Rudin, a junior at Purdue University, has been named a 2018 Truman Scholar, the Harry S. Truman Scholarship Foundation announced Thursday (April 12). Rudin, who is studying in the Honors College and College of Engineering, is a native of Carmel, and is majoring in multidisciplinary engineering with a concentration in veterinary health engineering and a minor in global engineering studies. She plans to blend veterinary medicine with public health to combat zoonotic diseases, which are transferred between animals and humans. Rudin worked with students at the University of Anténor Firmin in Cap-Haïtien, Haiti, on best practices for water sanitization through a service learning project at Purdue. She has helped start a relationship between the Gift of Water foundation, which develops portable water sanitation systems, and the local university. She has also served as the president of Purdue Biomakers and is a student ambassador for the College of Engineering. Rudin’s additional development experiences include working as a National Defense University analyst, an intern for Purdue’s Internationally Genetically Engineered Machine team and a design lead for Engineering Projects in Community Service. Rudin was one of 59 scholars selected from a pool of 756 applicants. The Harry S. Truman Scholarship Foundation focuses on students in their junior year of college who are committed to pursuing a career in public service. The scholarship was established in 1975 in honor of then-president Harry Truman and provides up to $30,000 per scholar for graduate-level studies. Purdue students interested in pursuing competitive, external scholarships and grants are encouraged to visit the National and International Scholarships Office.